As Spring approaches we have chosen only the brightest of spring blossoms with memory roses, Dutch tulips sprinkled with gypsophila. The theme is brought to life with a hand painted butterfly pick to make the most joyous bouquet. 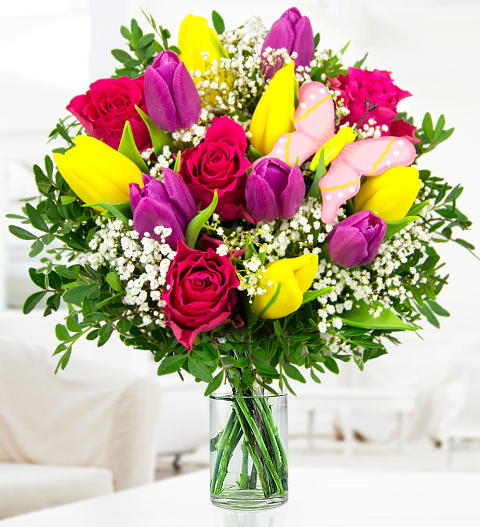 An arrangement to delight your recipient, what ever that special occasion may be. Chocolates may contain nuts.